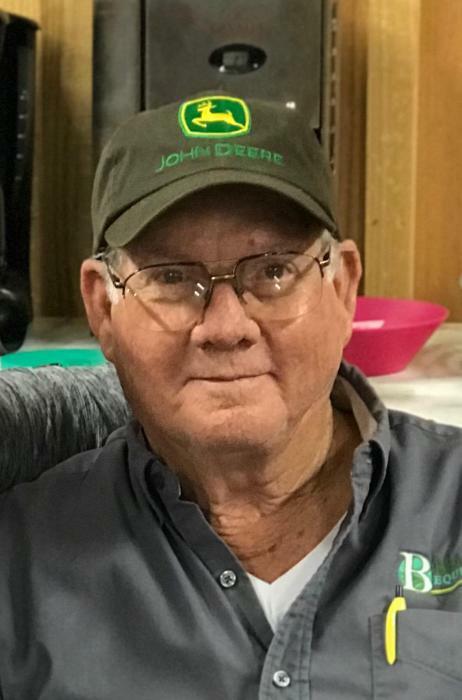 Taylor Funeral Home of Louisville announces the death and funeral services of Mr. Jerry Kent Cobb, age 74 of Highway 17 South Louisville who died Saturday morning January 26, 2019 at his residence. Funeral services will be held 4:00 PM Sunday January 27, in the Louisville United Methodist Church with Rev. Tom Harrison, Rev. Peter Vermeulen, & Joe Cheeks officiating. Burial will be in the Cobb Family Cemetery on the family farm. Pallbearers will be: Donnie Cobb, Charles Smith, JR., Eddy Burton, Jason Hartley, Barry Cobb, Tom Purvis, Matt Smith, Barry Wren, Tony Stavely & Keith Hall. Honorary Pallbearers will be members of Buddy Carroll Sunday school class and Charles Poole. A native of Jefferson County, Jerry was the son of the late Tom Wilson Cobb and Marie Lawson Cobb. He was a 1963 Graduate of Wadley High School and a long-time member of Louisville United Methodist Church. Jerry was a lifelong farmer and still in the agriculture business, employed by Blanchard Equipment. His greatest joy way spending time with his family and fishing. Jerry was preceded in death by his parents, sisters, Joyce Stavely & Diane Smith, brothers, Lester Cobb & Donald Cobb and is survived by his wife of 53 years, Ann Daughtry Cobb of Louisville, sons & daughters in-law, Andy & Donna Cobb, Michael & Cara Cobb, daughter & son in-law, Becky & Jim Harrison, all of Louisville, grandchildren, Megan & Austin Rushing, Jesse Cobb, Staci Dyches, Allison Cobb, Sydney Cobb, Mary Harrison & Charlie Harrison, great granddaughter, Avery Cobb, sisters & brother in-laws, Linda & Charlie Roy Hall of Bartow, Faye & Billy Harris of Gulf Breeze, FL, several nieces, nephews, cousins and many friends. The Cobb family will receive friends 2:00 to 4:00 PM Sunday prior to the services at the Louisville United Methodist Church.